Today on Jalopnik, there's a story about Isuzu. One of the vehicles they showcased was the Impulse, which got me to thinking: I haven't seen one in a long time. 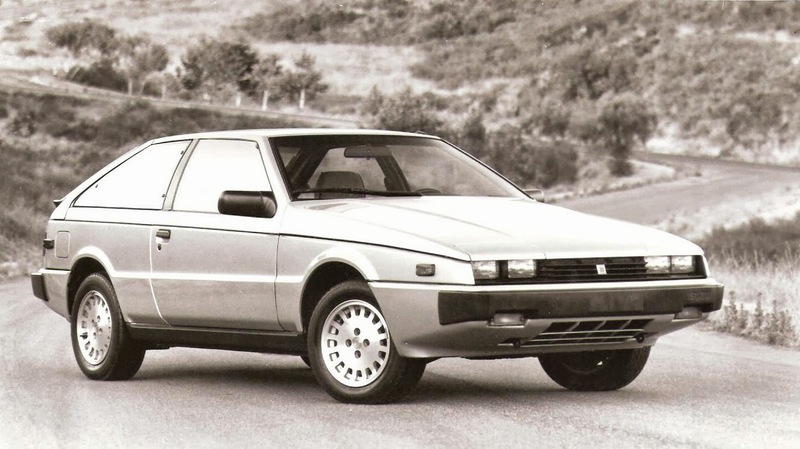 Growing up in the 1980s, I was enamored with the first-generation Isuzu Impulse; it was a bit of a dark horse to me. While I saw Starions/Conquests, Z cars, and MR2s on a semi-regular basis, I rarely ever saw Impulses. The first time I saw one was at the Minneapolis Auto Show in the early 1980s. It was white and said "Lotus" on the side. I remember thinking it was so cool and quite different. Offered in the U.S. from 1983-1989, the JR120/130 Impulse was a RWD coupe penned by famed designer Giorgetto Giugiaro. Let's face it: This thing looks pretty good. In the U.S., the cars had four cylinder engines ranging from 2.0–2.3 liters, and available with or without a turbo. Horsepower ranged from 90 to 148. Handling was tuned by Lotus, and the car utilized struts at each corner. And while the new-for-1990 Impulse/Geo Storm was also cool in its own right (as was the rare 1991 Impulse RS, which was AWD and turbo), it didn't have the same semi-exotic look and mystery to me the earlier Impulses had. Even to this day, I'm struck with the car's lines, what with the long hood and European shape. I actually just found an '88 Impulse Turbo on craigslist around me. It looks to be in pretty good shape, too. While it would be cool to own, I don't know how hard parts would be to source. But it would be a cool piece of automotive orphan car history. Oh, and who could forget the Joe Isuzu commercials? This one is for the Impulse and I love it. Great post! My personal favorite of that era is the '90 Honda CRX Si I know that is not from the '80's but it is from my teenage years. A lot of people would tell me that they hated the shape of it, but I remember feeling that it was a massive change for Honda cars for the time. I love those cars and would own in a heart beat.